Time for a Dark Rum Mojito! 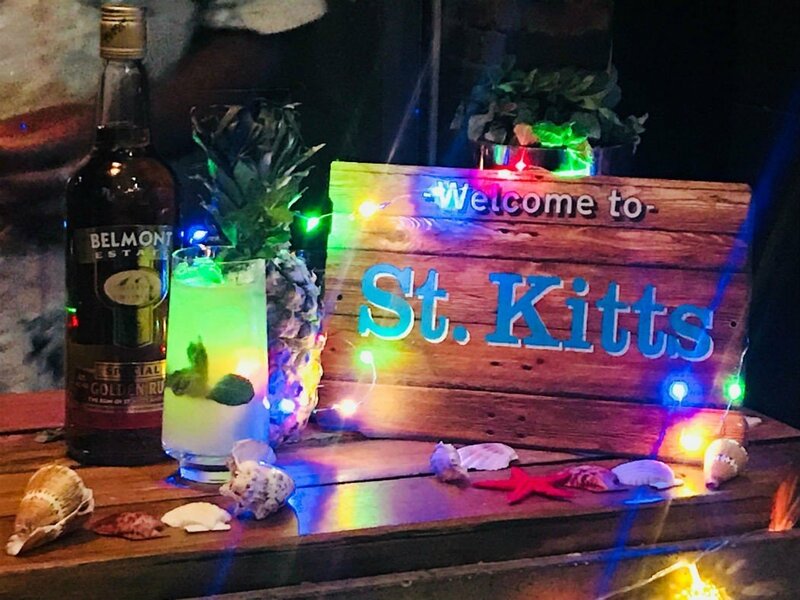 Could there be anything better to do on a cold, dark, February night in London than be transported to St Kitts drinking a dark rum mojito? 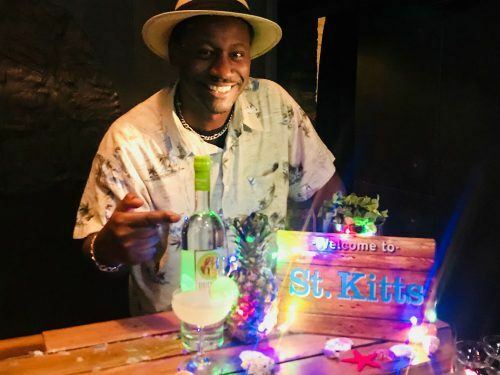 The only improvement to be made is to add more types of tropical rum drinks and more St Kitts Rum to that experience which is what I did! Thanks to the good people of St Kitts tourism I found myself in east London having all of my perceptions about rum changed. I thought I didn’t like rum. I am Australian and grew up with Bundy and coke being the over 18 equivalent of Vegemite. Alas, it wasn’t for me and I thought rum was a white spirit that was put into cocktails. I was shocked and delighted to discover that dark rum tastes amazing!!!!! 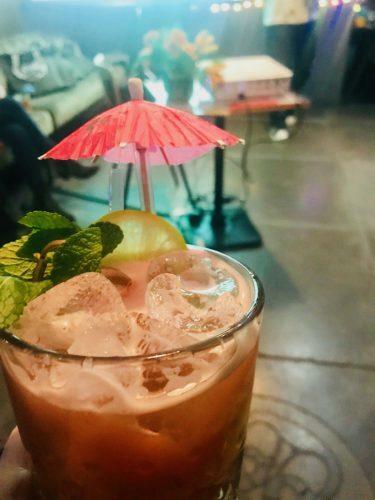 It is amazing in a cocktail – particularly a dark rum mojito – but also excellent neat. The definition of rum is “an alcoholic liquor or spirit distilled from molasses or some other fermented sugar cane product”. So rum can be made wherever there is sugar cane. Which is every continent apart from Antartica! This has meant that there are now several different ways to spell Rum! Rum is particularly big in India, Australia, and the Philipines. 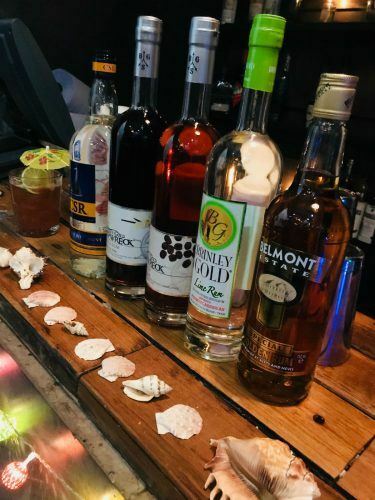 The spelling RHUM means you are drinking a French style rum eg what was made in the French colonies. This is a funkier, grassier tasting rum. If you’re in a Spanish speaking country then rum will be spelled Ron. You probably guessed why. It is considerably warmer in the Caribbean than it is in Scotland. The age of the rum is generally the number on the bottle. However, this can be an average age as newer rums are often mixed with old. White rum can be aged. However to do so it is filtered with charcoal to take the colour out. Thus creating aged white rum. The Rum Trinity is rum, lime and sugar – such a good combination! Try a Brimstone Hill which is made with Belmont Gold Rum, Lychee Juice, agave nectar and lime juice. Or go milky with vanilla rum, fresh pineapple juice, milk and coconut puree. If you need a shot of energy with your rum why not try a Kitspresso Martini? Combine some coffee rum with espresso and agave nectar. Rum is made from sugar cane, not sugar beats. Sugar cane does not grow in Europe. So when you see Rum that was apparently made in Croatia or Poland alas it is not rum! Tastings are available with rum and chocolate and rum and marshmallows! Followed by the Dominican Republic, Philipines, Canada and France. 9. Both the Daquiri and the Mojito come from Cuba! Daquiri is also a small village 14 miles east of Santiago de Cuba. The Daquiri was created at El Floridita in Havana. The exact origin of the Mojito is alas not as clear so you will have to try it in multiple places in Cuba and decide for yourself! Lightly mix the ingredients in a highball glass, add ice and top with ginger beer. Thinking about Drinking a Dark Rum Mojito in St Kitts? St Kitts is an island where fishing boats go out every day. So there is seafood galore – lobster, tuna, mahi mahi and more. There are also a lot of tropical fruits like mango, papaya, avocado, and guava. 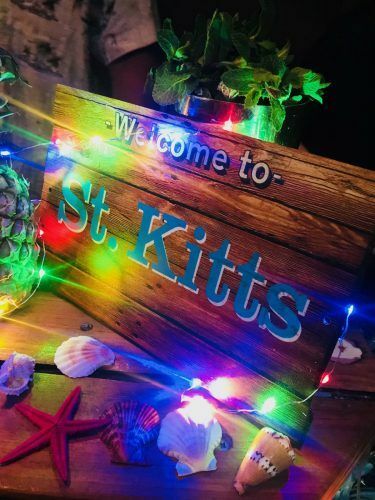 Best of all St Kitts has quite a few restaurants with fun names like Boozies on the Beach known for crispy Cajun shrimp pasta, Shiggidy Shack and Shipwreck. El Fredos Restaurant and Bar is run by locals and a great place to try local dish stewed oxtail and saltfish with dumplings. Enjoy Tropical Rum Drinks the Passion Bar at Spicemill restaurant – it is actually a dugout canoe! Check out the Reggae Beach Bar or as well. Forget the big all-inclusive hotels – there are now quite a few boutique hotel options in St Kitts and Nevis. Belle Mont Farm is literally a farm with gorgeous rooms. For stunningly simple and stylish rooms check out the Montpelier Plantation. Stay in the oldest wooden house on the island (it dates back to 1670) at the Hermitage Plantation. Click here for the latest prices and availability for Belle Mont Farm. Click here for availability and deals on Montpelier Plantation. Hermitage Plantation latest prices and availability. 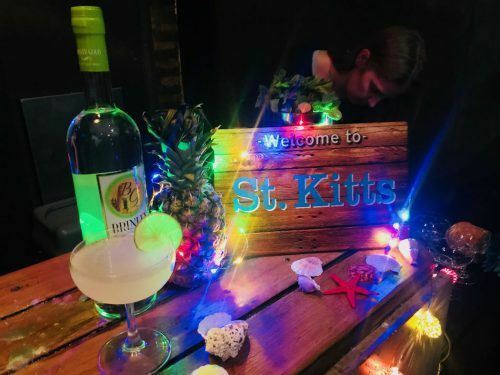 Welcome to St Kitts in London! British Airways flies direct from London to St Kitts – for British Airways prices and availability click here. And read my review of British Airways Premium Economy. 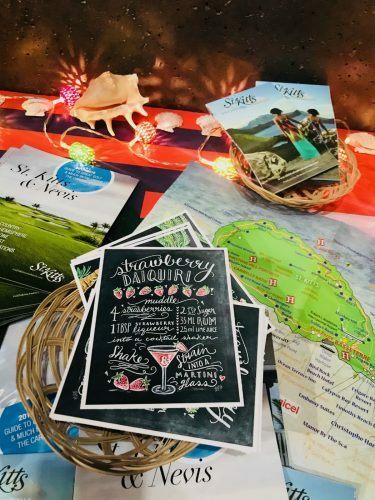 American Airlines and Delta also fly directly to St Kitts. 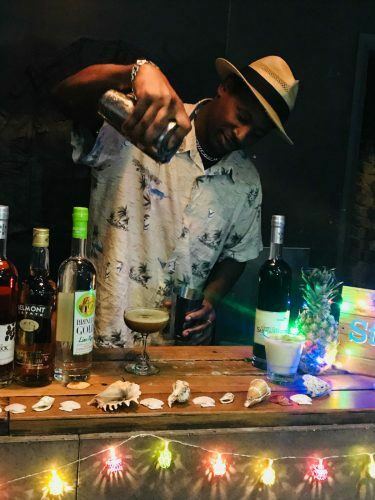 Smile with the Rum Ambassador! 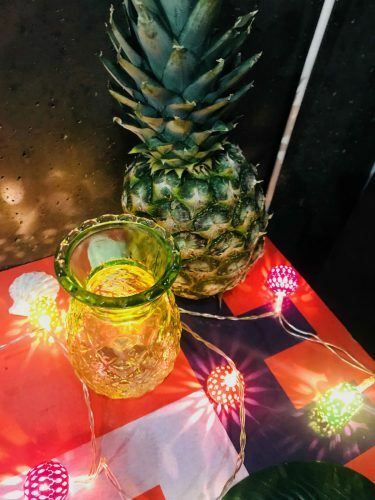 If this post has made you thirsty and you live in London check out my posts on The WW2 themed Bletchley Bar, re-live Breaking Bad at ABQ Cocktail Bar or have an amazing gin and tonic at The Distillery. 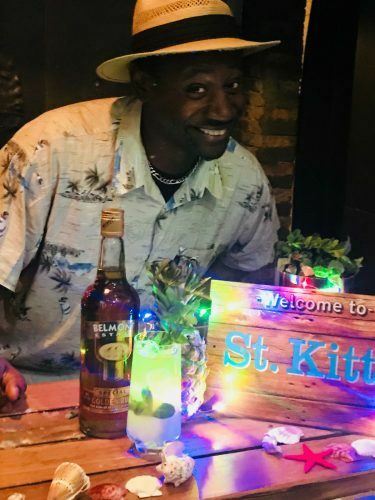 Great facts about rum and St Kitts looks like a great place for a vacation. Nice of you as well to point out other incoming events. Thanks for sharing this!